Yesterday, it was announced that Gothamist and DNAinfo, two sites vitally important to New York City’s news ecosystem, were shutting down. Its owner, Joe Ricketts, it seemed, would sooner lay off a combined staff of 115 people than see his workers unionize. “I started DNAinfo in 2009 at a time when few people were investing in media companies,” Ricketts wrote in a letter, which is what visitors to both sites saw when they attempted to load the pages last night. He added, rightly, that these were stories that weren’t getting told, and his assumption was that people hungered for information about the places they lived and worked. “I thought we could build a large and loyal audience that advertisers would want to reach,” he said. Ricketts was correct, at least in the first sense. DNAinfo sent reporters deep into the trenches of neighborhood news and it broke too many stories to count. At the same time, there was Gothamist, started by Jen Chung and Jake Dobkin back in the rambunctious new internet boom of 2003. 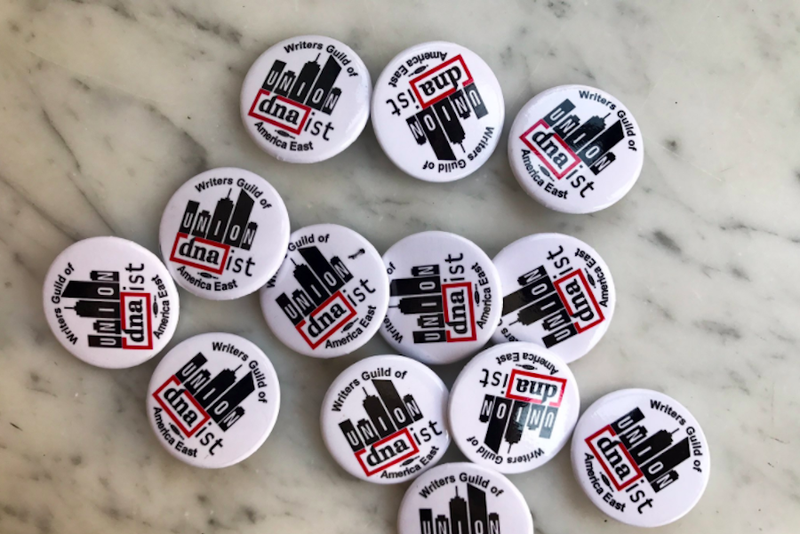 They eventually amassed a staff—I was one of them for around two and half years—and the site slowly transformed from a frantic blog mill to respectable and widely-read outfit with reporters who, like those at DNAinfo, covered crucial community board meetings, protests, and rallies. Gothamist also had a voice, and that voice advocated loudly for its causes, like justice for cyclists killed by drivers, tenants illegally booted from their homes by avaricious landlords, and people mistreated and tortured on Rikers Island. The voice could be heavy-handed, but these were heavy times. The site’s agenda was one that the majority of its staff saw as morally correct. As a group, we supported Black Lives Matter, we hated abuses by cops and politicians and the New York Post, we loved bikes. When I was younger and more naive, I hadn’t thought much of these things, since larger systems of power had yet to meddle directly in my own privileged life. Gothamist taught me not just the importance, but the necessity, of caring about other people. It taught me to think critically about what I was told; about the motivations for who was telling me and who might profit from the information given. Gothamist taught me how to be a human being. I started at Gothamist in March of 2013, and I fondly recall getting the offer as among the happiest days of my life. It would mean a substantial pay cut from my job writing dreck for a hyperlocal news site, yes, and my elation at the phone call quickly gave way to self-admonishment for my total inability to negotiate. But I was too excited. I’d always loved Gothamist, and regarded it as an indispensable cultural bible for keeping up with city life. My professional experience up until that point had amounted to reporting on (very) local politics, the openings and closings of stores around the neighborhood and, in one particularly inglorious instance, being sent to a local Best Buy at 4 a.m. on Black Friday to interview the shoppers waiting in line. But I’d never been to journalism school—and had not, in fact, even majored in journalism in college. I considered myself unbelievably lucky I got to write anything at all, in New York City, no less. As precisely the type of bitter, fast-walking Californian who knew she’d been born on the wrong coast, the chance to write for a living, no matter how small the market, regularly struck me as magical. But writing for Gothamist was the dream. (You could argue that perhaps I should have dreamed bigger, but these are my dreams, not yours.) I got to do whatever I wanted, as long as it entailed me getting a minimal number of blogs on the site each day, a necessity that managing editor John Del Signore grudgingly referred to as “feeding the beast.” As long as the beast was fat enough, the rest was up to us. My daily routine varied wildly. As one of the millions of chronically depressed people who populate this city, I was able to channel my misery into snarling blogs about the state of things around here. I was mad about the renaming of neighborhoods by out-of-town chicken moguls; I was mad about trash left over from ostensibly environmentally-conscious parades. I had a great many opinions on cycling, on women cycling, on snow cycling. With the encouragement of my bosses, I was told I could—and should—express my own dumb thoughts, and that those dumb thoughts mattered, even when I doubted that I had anything worthwhile to say. While I had these dumb thoughts, my colleagues at the time were flexing their own, generally better thoughts, too. In the name of journalism, Rebecca Fishbein took a ride in a mitzvah tank, Christopher Robbins surveyed a changing Atlantic City, Del Signore attended enviable underground parties, Nell Casey endured New York’s own pizza-themed Fyre Festival, Ben Yakas waxed nostalgic on Prince, Emma Whitford lambasted Crown Heights’ “bullet hole-ridden” sandwich shop, Dave Colon laid waste to Albany party politics, Scott Heins took consistently stellar photos and Jake Offenhartz had his picture stolen from Mike Cernovich. Shepherded by editors like Robbins, who stayed in the office piecing together heartbreaking missives on fair wages long after everyone had retired to their beer cans for the night, and Del Signore, whose wit was so sharp it often left me stupefied, we made the thing go, growing it from a site that traded on repackaged news items into a respectable reporting engine whose might was only getting stronger. I left the site in 2015, long before the merger with DNAinfo, frustrated by my low salary and contractual inability to freelance. Had I been given the protection of a union, it’s possible I’d have been there right up until yesterday, receiving the sudden, shocking news that the sites were done and that everybody needed to pack up their things, now. The loss of Gothamist and DNAinfo is a tragedy on a number of levels. I am sad for my friends—with many of whom I remain close—who have been cast out into a miserable job market. I’m scared for the city, for all the bad landlords and abusive cops and crooked politicians whose behaviors will go unchecked. I am scared, too, for the state of journalism, where one selfish, money-hungry lamprey of a man can cripple a valuable and good news organization and with it, a healthy, functioning democracy. But maybe I wouldn’t care about these things quite so much if I’d never worked at Gothamist. The city will be worse for its loss, and had it never existed, I would be, too.